Armando and I were driving yesterday when I saw a sign at McDonald’s advertising a Creme Egg McFlurry. I made a comment about it and Armando asked me what a creme egg is. Me: You don’t know what a Cadbury Creme Egg is? 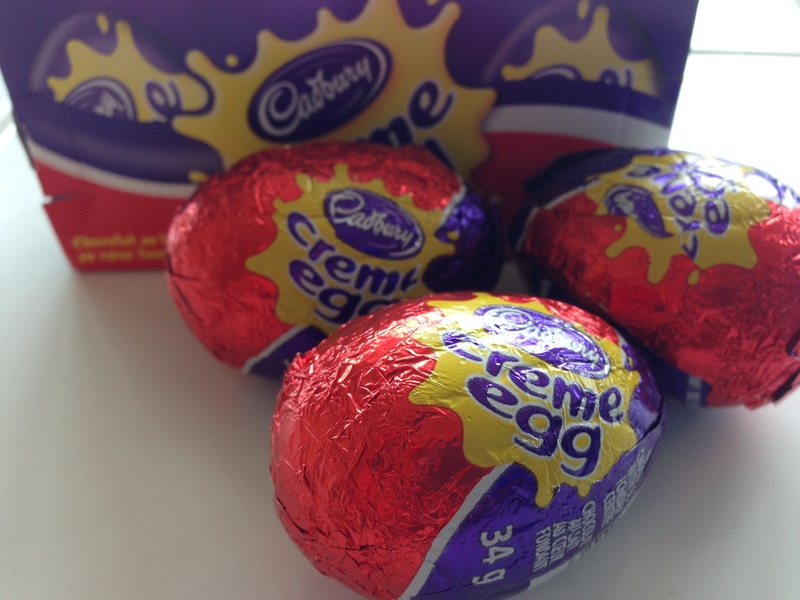 Me: Seriously, the Cadbury Creme Egg that is a staple chocolate for Easter? Me: You must know what it is. I’m sure once you see it, you will know what I’m talking about. Armando: I don’t think so. Where do you get them? Me: Where do you get them?! Like, they are everywhere! 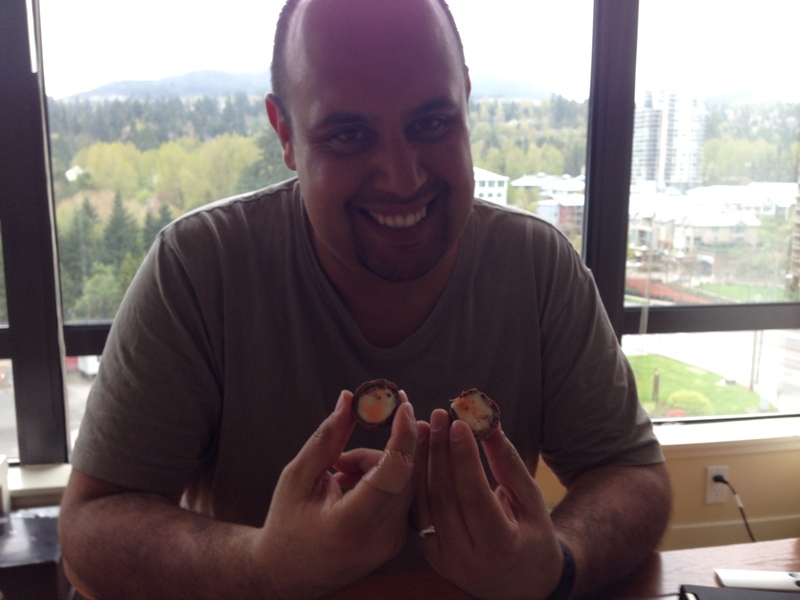 Me: See…these are Cadbury Creme Eggs (I show him pictures of wrapped ones and ones cut open to show their yolky yellow and white centres). Me: Yeah, I guess it does look kinda gross. But you have to try one. I grew up with these. I don’t really like them but it’s an Easter thing. I’ll buy you one. I buy him one and he cuts it open. His reaction….”Eww. These are gross (looking).” After taking a bite…”These are too sweet.” But, he ate it all before I had a chance to take a bite as he starts telling me of an Easter tradition in Mexico. “All the kids take real eggs a week before Easter, empty them and let them dry. The eggs are then filled with confetti and different faces and things are drawn on the eggs. Then the kids take them to school and they smash the eggs on top of each other’s heads.” Umm, okay. Can’t say we do that in Canada. Definitely different Easter traditions. Happy Easter everyone, no matter how you celebrate it! LOL! “Too sweet? !” …coming from the guy who drank tons of Coke as a child lol! They really are sweet though haha! Haha!! So true! I need to write a post about him and his history with coke haha!